Epic Brewing Company has become one of Utah's most explosive craft beer brands. 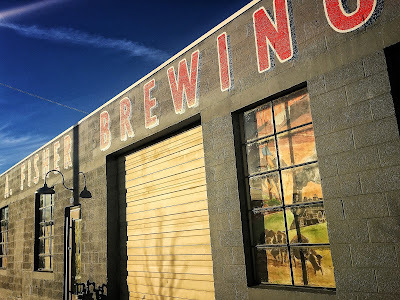 Their beers are highly sought after both in and outside of it's Salt Lake City based home. Hell, just look at their Big Bad Baptist and Oak and Orchard series of beers, they're some of the most complex beers you'll find from a local brewery. There's one place on the planet that Epic has had a tough time making a go-of-it, Sugar House. For some reason that wonderful brewpub just can't find it's rhythm. It's first incarnation (The Annex) wanted to be gastro brewpub that served a more refined menu that other brewpubs in the state weren't attempting. The food was well received but the price point didn't meet the needs of the brewpub crowd. The second incarnation (Black Sheep at Epic) put the restaurant's kitchen in the hands of Provo's Black Sheep Cafe. Though the menu was less expensive and more approachable, it just wasn’t financially feasible for that partnership to continue at that location. Right now Epic - Sugar House is temporarily closed as it is remodeled for it's third phase. The emphasis now will turn more towards the beer and less to the kitchen. "Our focus will be on the beer and creating a fun". Says Jennie Richau, Director of Epic's Retail Operations. "we're now looking towards a more casual environment where people can come to enjoy our full portfolio of beers and hang out with friends". Part of that "casual environment" will include gaming devices, more TVs, along with Epic's full portfolio of beers. Every damn beer that Epic offers will be served as samples, full pours and individual bottles, along with seasonal and Utah Session Series draft pints. 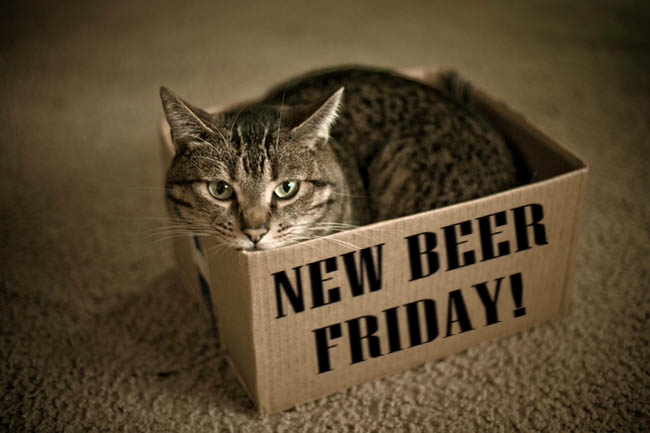 There will also be beer specials with $2 - 10oz select drafts every Mon, Tues and Wed. and look for the brewers to deliver more small batch - out out of the box beers. As far as the food is concerned there will be a small, quick menu that will be offered at a counter service-style set up, which may expanded in the the future. Epic - Sugar House is set to reopen sometime in the next two weeks. This is a really great space, that in my opinion offers far more enjoyment (and elbow space) than the tiny "Tapless Taroom" at the main brewery. If your a fan of Epic,"this the place" in SLC. Stay close for news on the re-opening. 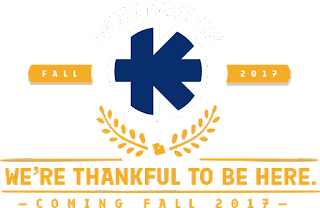 Kiitos Brewing Company has finally overcome it's many hurdles and is ready to go online this morning. 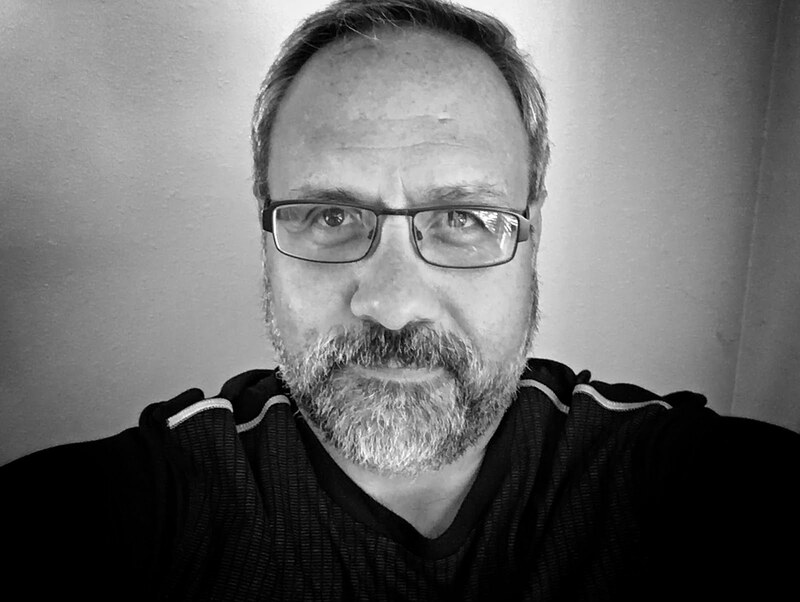 Owner, Andrew Dasenbrock's dream project has been in development hell since late 2015. The setbacks he's endured would be enough to force anyone to throw in the towel, luckily for us Andrew has persevered, because he/we all get a new brewery out of the deal. Andrew has teamed up with Brewer, Clay Turnbow - formerly of Epic Brewing and most recently 2 Row Brewing. Clay knows our market very well and is adept in Utah's low-point and high point worlds. When Utah's greenest brewery fires up this morning, the first beer will be a blonde ale. In the coming days we'll throw some more details your way. Other beers, opening date, etc. So join me in officially welcoming Utah's newest brewery to the block. If you're not familiar with Kiitos' story? here's some good background info on the brewery. 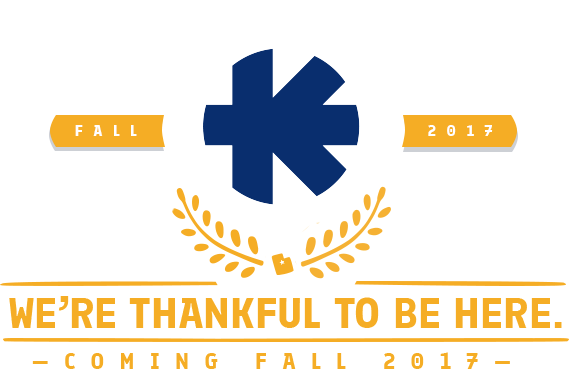 Oh, just in case you're keeping score, that's three new breweries to open in SLC so far this year (Fisher, RoHa and Kiitos). RPM, SaltFire and Toasted Barrel are all on deck and are set to open sometime in late 2017. Pretty cool, eh? We have a preview of a new Christmas ale - or maybe it's a Halloween beer? I can't be sure by the looks of it. All sarcasm aside, this new October release pays tribute to the "Beer Witches". 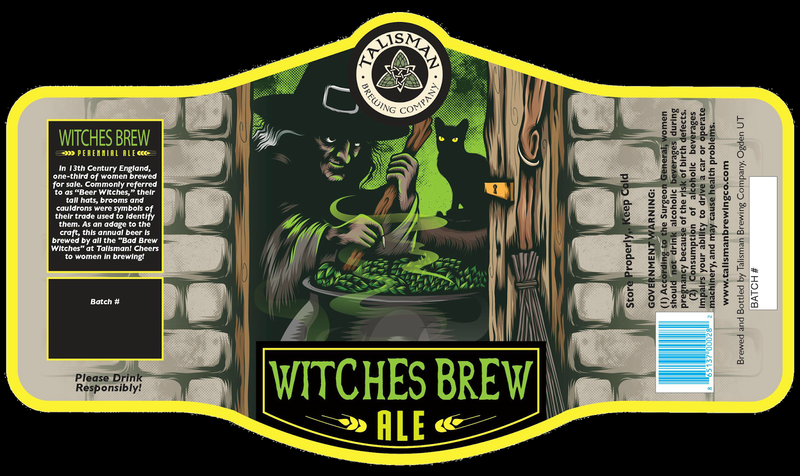 You may not know this, but that classic witch silhouette with the tall black hat, broom and the cauldron comes from the real world of women brewers. Back in the dark ages, beer brewing was women's work, they made beer for home consumption and to sell on the streets and to taverns. They ladies identified themselves to customers with tall black pointed hats and would often place a broom (symbol of domestic trade) in front of their home or tavern. Beer (like now) was big business and the Catholic church wanted it's piece of the action, and by "piece" I mean "all". The church persuade society that women were inclined toward evil, witchcraft and devil-worship. This was of course at the height of the French and Spanish Inquisitions, so you can imagine how that whole witchcraft thing played out for the ladies. So when Halloween rears it's head and you see all of those little witches...err brewers scurrying about begging for candy, snag a Talisman Witches Brew and pay homage to those ladies of long ago who really got raw-deal from history just by making beer. 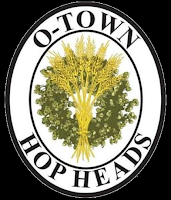 Also, Talisman Brewing Company has teamed up with fellow Ogdenites from the O-Town Hop Heads Home Brew Club to brew their first collaboration beer. 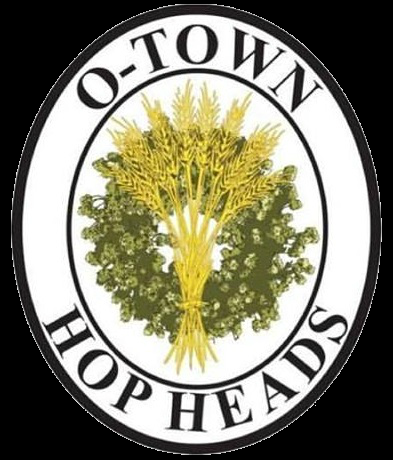 Pale Wheat Ale is a new Kolsch beer that was created by O-Town's Cort Sessions and is made with Amarillo and Citra hops and is described as "mildly hoppy". The new beer debuted last night at Slackwater Pizza and is now being sold at Talisman's brewery. The beer is under the "Talisman Presents" label and it comes in at 5.6% ABV. The 2017 Beehive Brew-off has come and gone. Over the weekend, Utah's preeminent home brew competition saw 424 entries with 558 registered participants, judges, and stewards. The awards ceremony was held Sunday evening at the Bayou in Salt Lake City. I got a chance to judge a few of the categories, there was some fantastic stuff. Here the list of those who managed to take home medals. Congrats to all! 3rd Thomas Clements Hammersmith Brown Ale English Brown Ale Wild Hops/High Desert Brewing Assoc. 2nd Thomas Clements Summit Stout Oatmeal Stout Wild Hops/High Desert Brewing Assoc. It was either going say "Make America Great Again" or New Beer Friday. I think I made the right call. I really need a Raiders of the Lost Ark night soon. Baja - Por Favor Mexican IPA: I'm going to reserve judgment on this one because the bottle I had was already on the verge of being old. The date said best by May 2017. If you try it please share your thoughts. 7.0% ABV. Avenues Proper - Experimental Hopspital IPA No. 1: This take on the original recipe features Azacca and Idaho 7 hops with some additional dryhopping. It's described as being citrusy and bright. 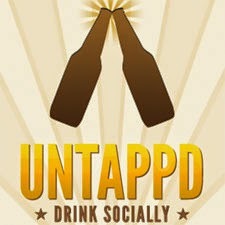 I'm sure I missed something, help a fellow beer nerd out and share the beer love. 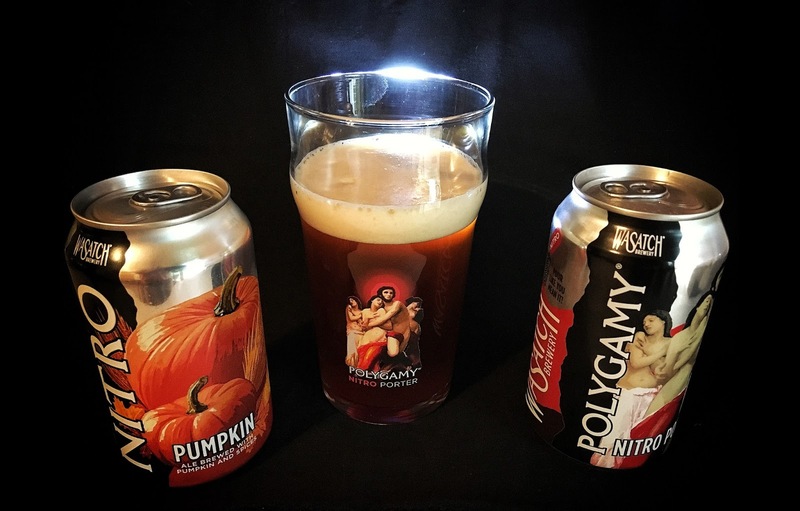 Did you know that the Utah Brewers Cooperative (Wasatch/Squatters) has developed proprietary, cutting-edge nitro technology? I have the full story in my Beer Nerd column in this week's City Weekly. Check it out! Epic Brewing Company is teaming up The Commons Brewery out of Oregon to make a collaboration beer that pairs Oregon-grown red winter wheat with juicy, Colorado-grown, Rocky Ford honeydew melons. 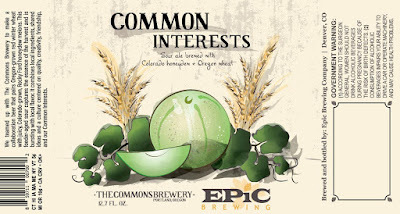 Common Interests is a sour ale aged in foeders located at Epic's Colorado brewery that captures the essence of the harvest and is bursting with local flavor. It combines local ingredients, shared ideas and a culture centered on quality, creativity, friendship and the "Common Interests" of both breweries. If that's not enough to get you mouths watering, check out this new addition to Epic Big Bad Baptist line-up. 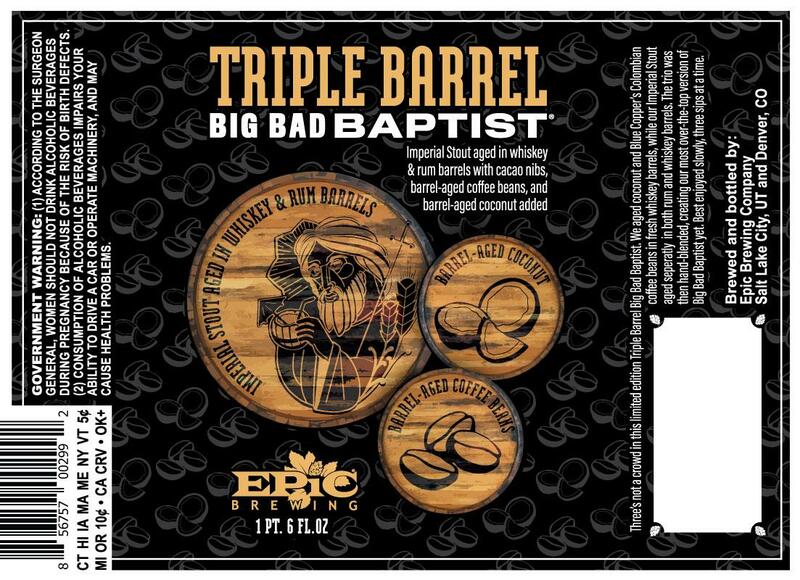 The newest member of the family is called Triple Barrel Big Bad Baptist and I think that you're going to like this one. Epic took Columbian coffee beans from Salt Lake City's Blue Copper Roasters and aged them with shredded coconut in fresh whiskey barrels. Then Epic took their base Imperial stout added cocoa nibs and aged it separately in both rum and whiskey barrels. The trio will then be blended to create Epic's most over-the-top version of Big Bad Baptist yet. Both of these very different beers will be hitting the market in the coming weeks. As soon as Epic tells me, I'll tell you. Stay close. 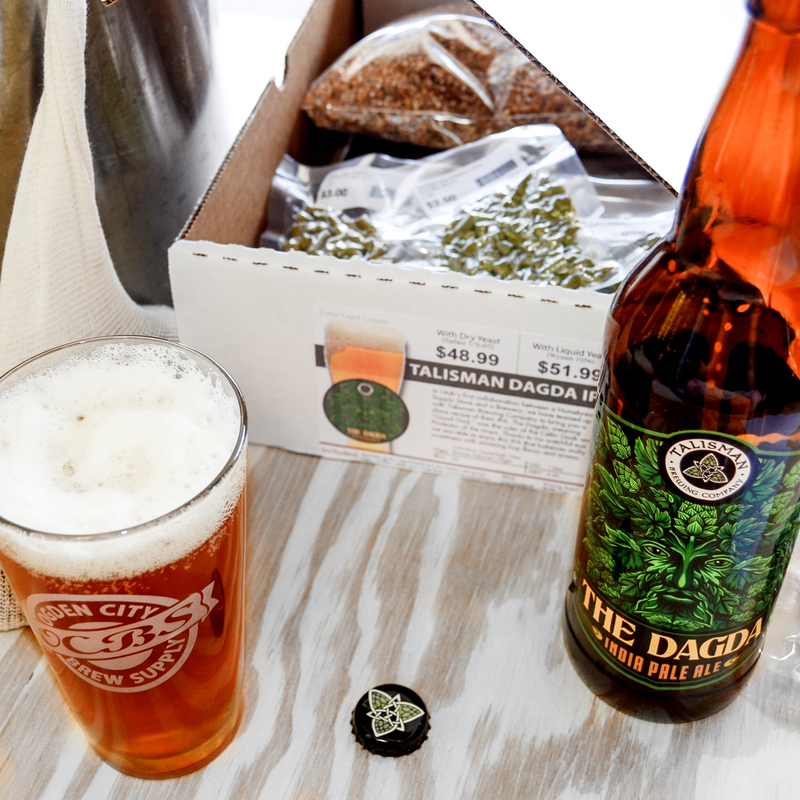 Talisman Brewing Company and Ogden City Brew Supply, have teamed together for a unique collaboration for beer makers in Utah, making a local craft beer recipe available for homebrewers to try brewing themselves at home. We have always believed that a local homebrew shop needs to be involved in its community in order for the community to support it..” According to Co-Owner Cody McKendrick, “Collaboration with Talisman will only help get people more excited about Talisman's beer as well as their own personal brewing process. Growing the overall Craft Beer community in Utah is the goal for both companies and good for the entire community. The craft beer scene in Ogden is growing and we're excited to be a part of that.” Home brewers are now able pick up the Talisman Dagda IPA beer recipe kit from Ogden City Brew Supply to try making on their own brewing equipment at home. Ogden City Brew Supply has been servicing the Ogden community of homebrewers for two years and has grown their offerings from beer and wine ingredients to include kombucha, mead, hard cider, Kefir, yogurt and cheese cultures. They carry all of the equipment and ingredients needed to make fermented beverages and food at home. Utah has been experiencing rapid growth in the Craft Beer market and now boasts 23 breweries with at least a half dozen or more in the process of opening. Similar to the rest of the country, one of the primary drivers behind the rapid growth in breweries is the growth and increased availability of home brewing supplies and equipment. Passionate home brewers across the country have been taking their hobby to the next level, seeking to share their favorite recipes with drinkers around the globe. Sharing the love of beer is what the homebrewing and craft beer industries are all about. 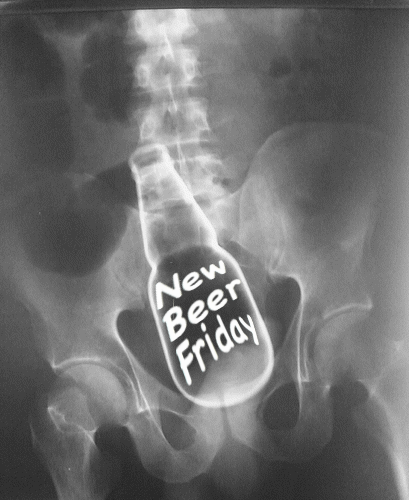 Not only is it New Beer Friday, but it's also Utah Beer Fest weekend. There will be a ton of breweries and a shload of beers pouring at the state fairgrounds. 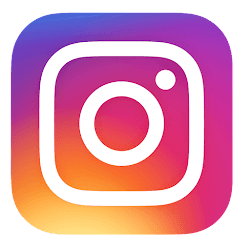 Follow the links to get an idea of what to expect. Here's all of the other info you may need. Hope to see you there! Don't forget to tune in to New Beer Friday on KBER 101 this afternoon at 3:30 as Mick, Allen and myself discuss these beers and other Utah beer related stuff. In January of 2014 the Town of Breckenridge, Colorado set a world's record for the longest shot-ski at 219 skis and 666 people at 973 feet long. In case you're not sure what a shot-ski is, think of a traditional snow ski that has shot glasses glued to the plank. Now get a bunch of friends, fill the shot glasses with whatever and drink it down at the same time without spilling. That's basically it. On October, 22nd Park City, Utah broke that record as people celebrated the 30th anniversary of Wasatch Brewery. 1,191 people lined up in the middle of Park City’s Main Street to throw back some of Wasatch’s Premium Ale with a 961-foot-long shot-ski. That record lasted for about three months as Breckenridge took it back in January of this year with 1,234 people drinking from the 1,997-foot shot-ski. Well, guess what? Park City and the Wasatch Brewery is looking to take it back once again. The one long ski (actually a total of 440 skis bolted together) will be hoisted at 2:00 p.m. on October, 14th in an attempt to re-break the record. And to keep the celebration going, Wasatch Brewery will host a beer garden in the Brew Pub lot from noon until 6:00, complete with games, live music, a food truck and of course, a selection of Wasatch Brewery’s award-winning craft beers. 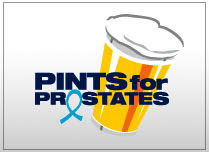 This year's goal is to sign up a total of 1,250 beer-lovers. Now that the word has gotten out about what a fun event this is, organizers anticipate that it will sell out very quickly this year, so they are encouraging all potential participants to purchase tickets as soon as possible by going to www.parkcityshotski.eventbrite.com, says Wasatch Marketing Director Judy Cullen. 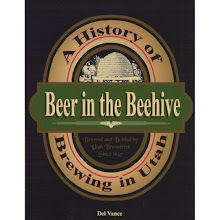 And to inspire everyone to dress up in costume, Wasatch Brewery founder Greg Schirf will be handing out gift cards and Wasatch “swag” to entrants dressed in the best regalia. The goal, like last year, is to have fun while raising money for the Sunrise Rotary of Park City, a very worthwhile cause. I had a blast participating in the record last year, I'd recommend that you all give it a "shot", see what I did there? Go Park City! 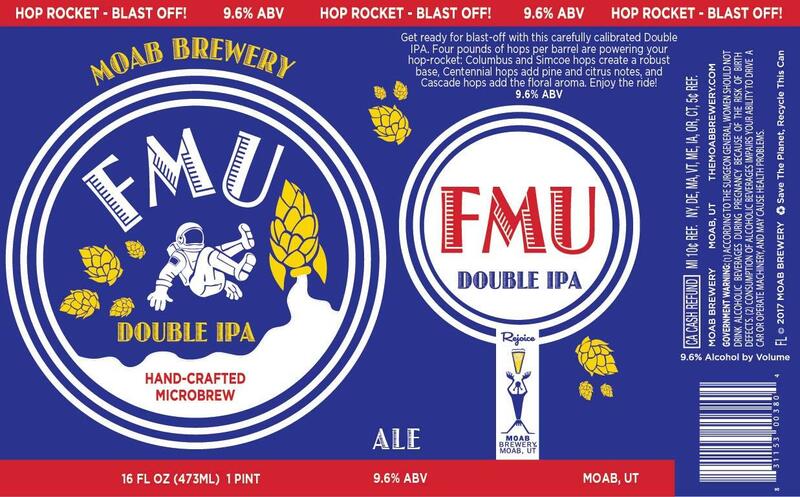 I've got another sneak peak of a new beer coming from Moab Brewing Co. 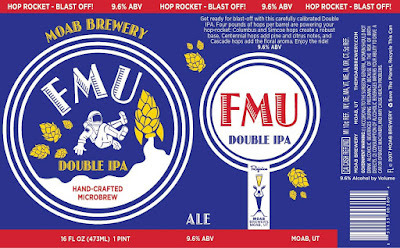 This brand new creation is a Double IPA, called FMU. When it hits liquor store shelves in the coming weeks, it will contain four pounds of hops per barrel (31 gallons) and feature Columbus and Simcoe hops at it's base with Centennial and Cascade hops rounding it out later in the boil. The ABV will be 9.6% and it will be packaged in Moab's standard 16 ounce cans. The release date is probably not too far down the road, as soon as it hits you'll see it here. 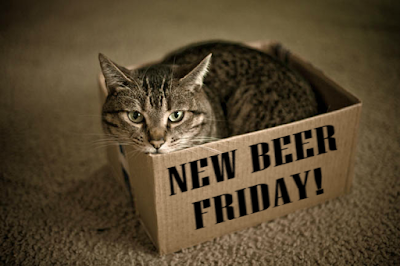 In today's New Beer Friday we have some "out of the box" stuff to help you find your weekend groove. Hopworks Urban Brewery's HUB Cider - Mostly tart apples with some sweet apple juice rounding out the back end. Not quite Jolly Rancher tart, but in that neighborhood. Nice cider. 6.8% ABV @ Beer Bar. What did I miss? Please let us know.